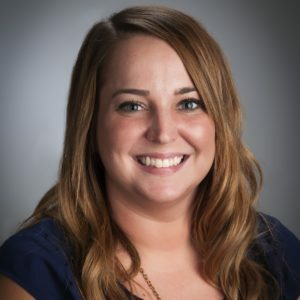 Heather Bauer serves as the Director of TRIO Student Support Services at the University of Southern Indiana (USI) in Evansville, IN. In 2017, she was named Outstanding Administrator of the Year in the Division of Enrollment Management. She earned her Master’s degree in Clinical Psychology from Ball State University. She has been working with TRIO eligible students for the past 9 years. As a first generation student herself, she is passionate about supporting and advocating for students in Higher Education. She is active in the USI and Evansville community. Heather volunteers with the United Way helping families obtain financial resources for college. She has also conducted diversity trainings for organizations in the community. She is a committee member of the Sexual Assault and Gender Violence faculty/staff group, Financial Care Team, and the Equity, Diversity, and Inclusion Council on campus. She serves as the advisor for the Students for Gender Violence Prevention group and was recognized as the 2018 Student Organization Advisor of the Year. In addition, she also serves on the Institutional Review Board and provides Substance Abuse Education for the Dean of Students office. She is an instructor for the First Year Experience, Success Strategies, and Career Planning. In addition, she has previously taught Introduction of Psychology and Public Speaking. Study Abroad Funding for TRIO programs, International Access for First-Generation Students, Cultural Competency, Mindfulness, Overcoming Barriers, Suicide Prevention, Mentoring, and Meeting the Needs of Our Diverse Student Populations.